You'll get one email when this is back in stock, we won't share your address with anyone else. 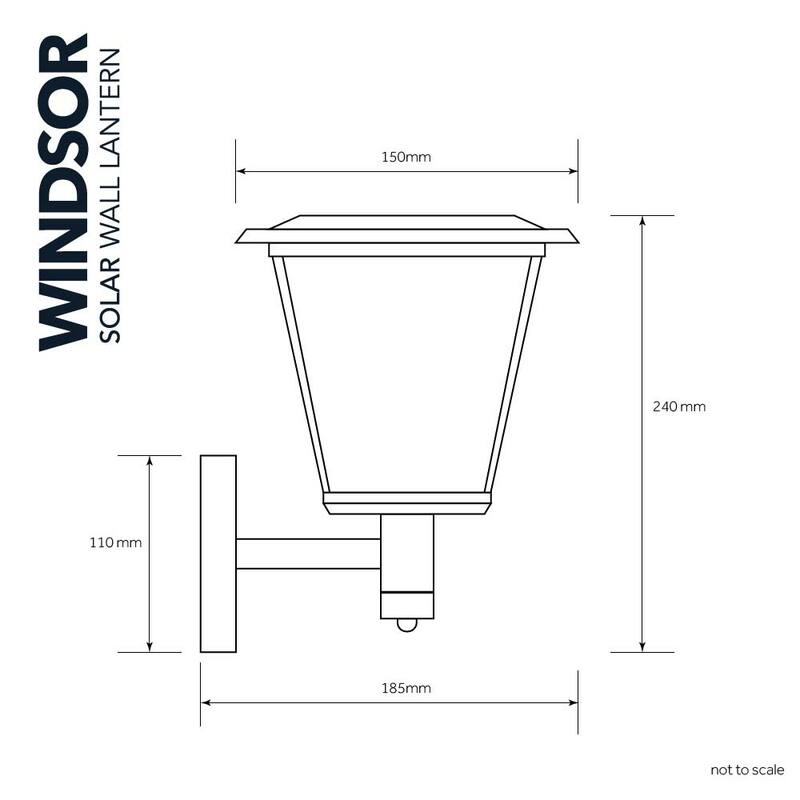 Made from high-quality stainless steel, the Windsor Solar Wall Light is fully automatic, wireless, and completely solar-powered. Will light for up to 10 hrs from a full charge. The only problem is the lid , abit fiddly to take off, and you have to do this to turn the light off. It does give a very good light which lasts much longer than any other solar lighting that we have tried We have just bought some more, so yes we do like them!. Happy with this purchase. Very prompt. And once I got hold of the correct screwdriver it was relatively easy to assemble. Feels good quality. It's been up for a few weeks survived frosts and lots of rain and still giving light through out the evening from dusk. Not bad for January. Would buy again. Very pleased wih lamp used near front door comes on at night as advert looks classy,fast and efficient delivery would order again. Good value for money. Straight forward user guide. Easy to fit but you need both a small screwdriver and a nut spinner to easily remove & refit the top. Good light even at the lower setting. However, after a few days of miserable weather, it failed one night around 11:30 pm. It's currently switched off allowing a full recharge during the rest of the week. Possibly the location is not particularly suitable for a solar light. Maybe I'll have to revert to good old mains electricity and use the Windsor lamp somewhere else. 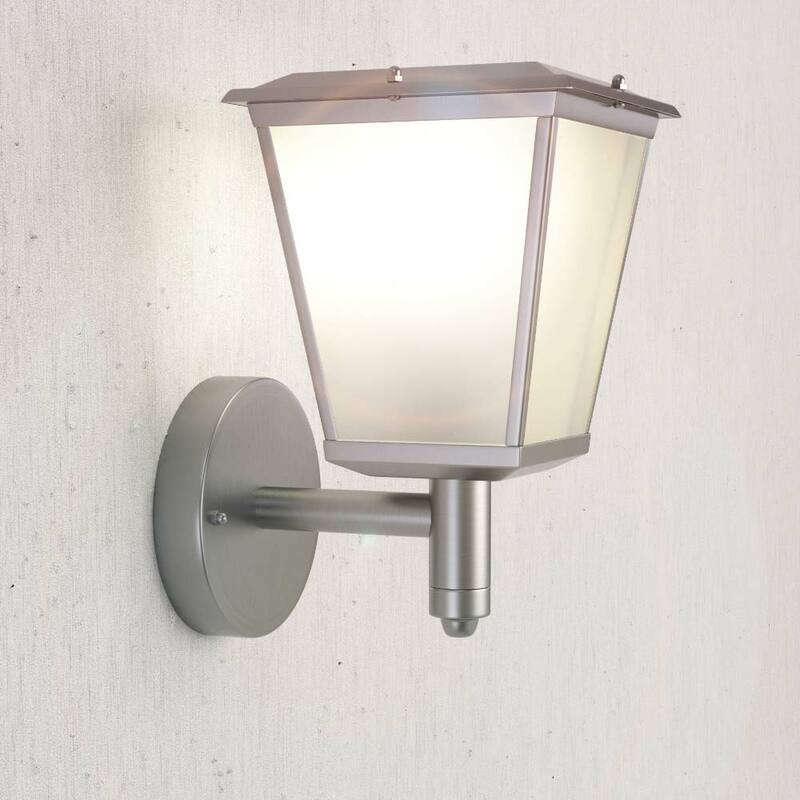 This beautifully designed solar wall light offers a modern take on a classic design by combining the style of yesteryear with the solar technology of today. With stainless steel construction, glass shade panels, and 4 super-bright SMD bulbs, the Windsor offers year-round reliability. The Windsor comes with Powersaving technology as standard which gives users the option to double the runtime in return for a slight reduction in brightness. would this give enough downlight to illuminate a doorway to see lock if mounted above? You would need to test it, the base of the light head doesn't allow light downward but out from the sides. Many customers use them either side of doors. Will this Solar light work on a easterly facing house wall or will that not get enough sunlight to charge sufficiently? Does it need to be on a southerly/westerly position? Thanks. 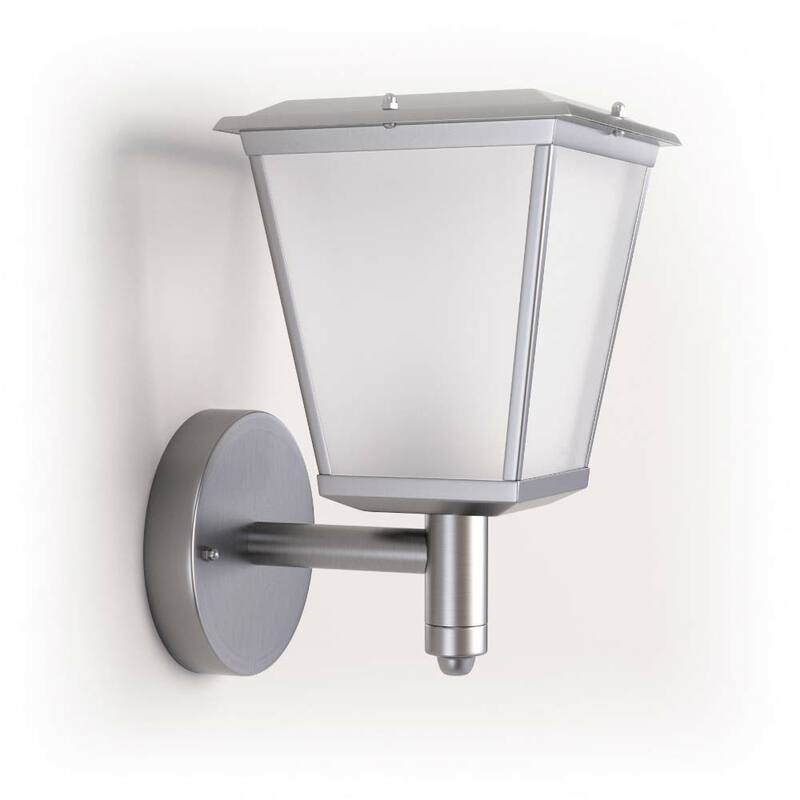 For the best performance, we recommend southerly facing wall but some customer do use these lights on east/west facing walls. You may need to use powersaving mode even in the summer, it will depend on how much sun gets to the panel.